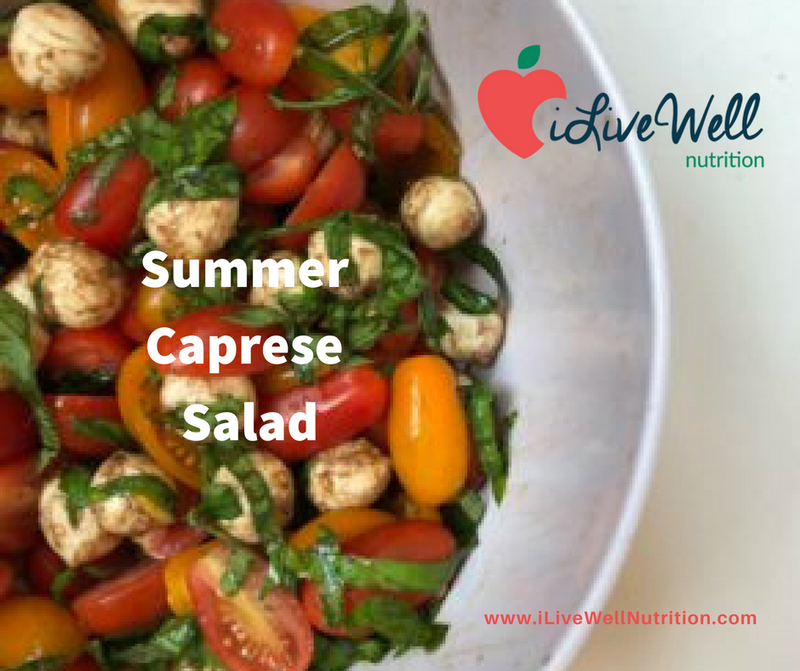 Toss together the flavors of summer in this easy and delicious Recipe for a Caprese salad! It has been HOT here in central Texas. We are cooling off with an easy summer side that’s quick to prepare so we can spend more time by the pool! It makes use of sweet, in season cherry tomatoes, mozzarella balls, fresh basil, and balsamic. Did we mention that you can toss it together in less than five minutes? 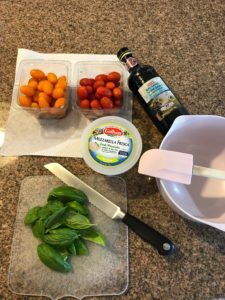 • Add tomatoes, mozzarella, and basil to a mixing bowl. • Drizzle in balsamic vinegar (or your favorite balsamic vinaigrette), and toss together. • Serve it up, and ENJOY!